Midas m32r equipment inventory addition. We recently added the Midas M32r to our inventory. This console sounds amazing. 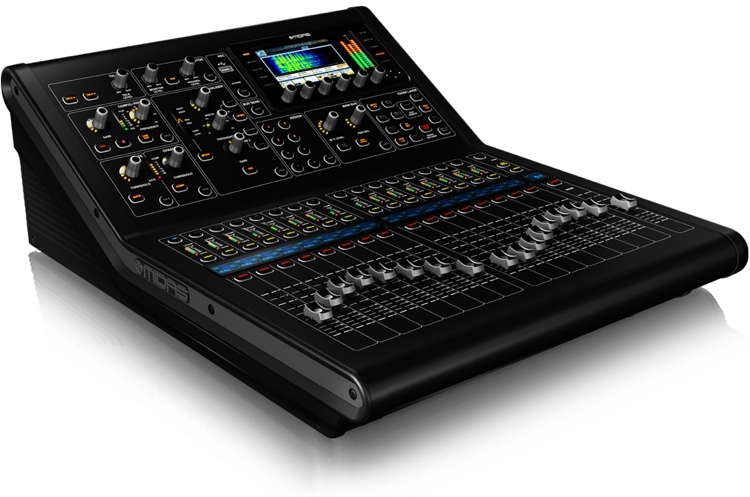 I was surprised by the smooth compression and am extremely pleased with all of the features that Midas was able to fit into a rack mounted console. This inventory addition will benefit our customers by allowing Calgary Show Services to provide cleaner audio for their events. We can also record stereo tracks extremely easily to a USB stick. The console allows for a router to be connected for iPad integration which will enable our technicians to be side by side with the talent on stage to tune monitors to their taste. The DL16 Digital Rack (pictured below) and Cat5 snake will reduce our set up time and de clutter the stage. The M32r accepts saved show profiles from touring musicians who are working with the X32, Midas m32 or of course the m32r. Please visit Midas’ website here for more information about the console and snake head. We are looking forward to your first experience with this beauty!